The Librem 5 comes with PureOS by default. This page explains why that is important. 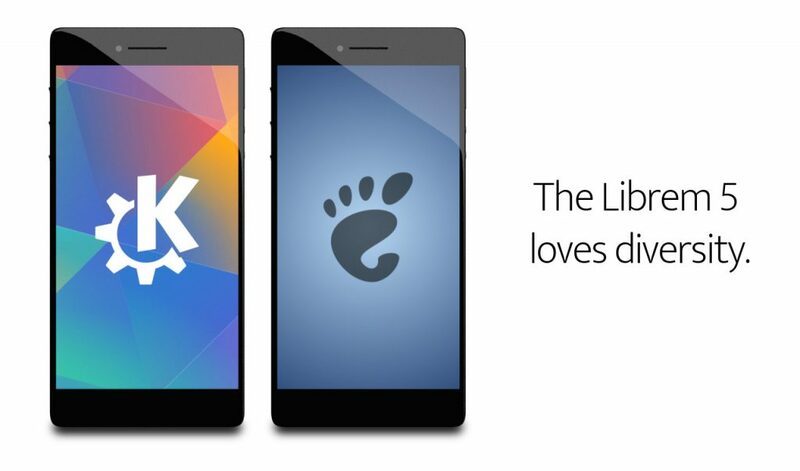 The Librem 5 comes with PureOS by default, not Android. It is the only smartphone on the market today to ship with a fully-free and auditable operating system, from the ground up, that is created in your best interest instead of corporations’ bottom lines. It is the only project with a bona fide community instead of a “Big Corp” governance model. That doesn’t mean the Librem 5 is “locked in” to PureOS, however! If you are a technology enthusiast or enterprise with special needs, you can run your own compatible GNU/Linux operating system as an alternative to PureOS. It’s your hardware. PureOS’ technology stack builds on the shoulders of giants, it is the result of decades of clever engineering and refinement by a quality-conscious crowd: the “free desktop” community, who care about technical excellence first and foremost rather than short-term thinking to “quickly get an app out of the door and maximize profits”. PureOS can be a showcase of the best work the “free desktop” community has to offer for the Librem phone platform. On the applications side, we also expect independent developers in the worldwide community to supplement our initial work by creating their own applications, porting existing applications, and improving the overall “app store” experience; the Librem 5 and PureOS platform represent shared collaboration with the wider developer community (not “read-only open source”, but true free software collaboration). PureOS is based on the Debian operating system, the most popular GNU+Linux OS in the world, powering everything from a Raspberry Pi to the world’s biggest datacenters and supercomputers. PureOS strives for the strictest of security and privacy protection, by releasing all the source code, and offering safe security and privacy defaults, as well as avoiding common security threats, such as ransomware, and data mining tools. PureOS is in complete compliance with FSF’s free distribution guidelines and does not ship proprietary software or blobs. PureOS is a true Free and Open-Source project where community contributions are welcome, and it can be entirely audited for security. Visit PureOS’ website at PureOS.net and get involved!